In the beginning of December 2014, military and police officers opened fire onto a crowd of peaceful demonstrators and killed 6 Papuans and injured 22 others. Indonesian authorities blamed the Free Papua Movement (OPM), as the Indonesian Government was unwilling to be held responsible or launch a proper impartial investigation. 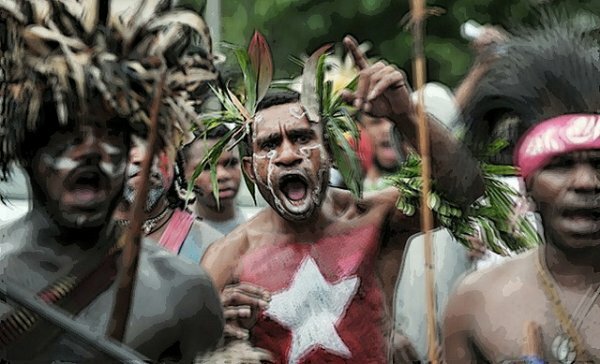 Meanwhile, recent arrests of Papuans and the subsequent torture of some of those arrested further illustrate the inadequate protection for and serious mistreatment of the indigenous minority by the authorities. While President Joko Widodo stated that a fact-finding team would be formed, it remains to be seen if it would be a joint inquiry consisting of the army, police, the National Commission of Human Rights (Komisi Nasional Hak Asasi Manusia, Komnas HAM), and traditional Papuan leaders, in accordance with the recommendations of Komnas HAM. The importance of such a joint inquiry would be to ensure that military personnel responsible could be questioned and therefore held to account. Political and human rights analysts have speculated that the 8 December 2014 shootings may have been fuelled by an emboldened military following the announcement of Jokowi’s support for a new regional military command (Komando Daerah Militer, Kodam) in Papua. Long-standing violations by the Indonesian military in Papua, perpetuated by a culture of impunity, suggest that such plans are incompatible with Jokowi’s earlier pledges of protecting human rights in Papua. On 27 December , tens of demonstrators in Jayapura were arrested for protesting the planned visit of President Jokowi. The demonstrators, along with other Papuan civil society groups, rejected Jokowi’s visit in response to Bloody Paniai. One of the detainees in the Pisugi Elections Boycott case, Yosep Siep, has been hospitalised due to pains endured as a result of torture faced on arrest. Court hearings for the five Pisugi detainees have been repeatedly postponed due to the difficulty of obtaining witness testimonies in court. In Nabire, ten West Papua National Committee (Komite Nasional Papus Barat, KNPB) members were released after more than a month in detention, reportedly due to the lack of evidence to bring them to trial.